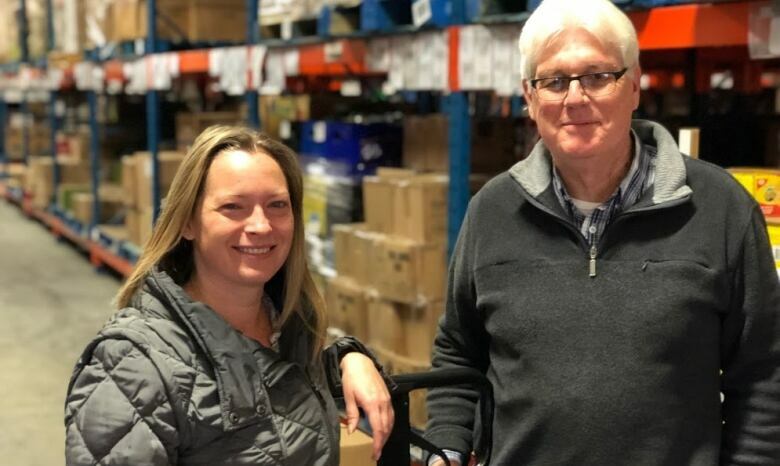 Recently, CBC Kitchener-Waterloo reporter, Kate Bueckert visited The Food Bank to ask our volunteers why they donate their time to The Food Bank, and she got some great responses. The full article is below. ‘Some of my great memories are how people appreciate what you do,’ Murray Holtzworth says. 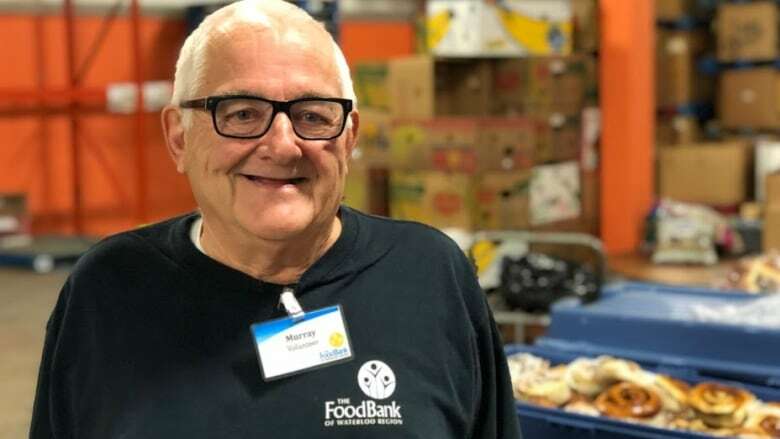 For 10 years, Murray Holtzworth has regularly made the drive from Tavistock to The Food Bank of Waterloo Region to volunteer. 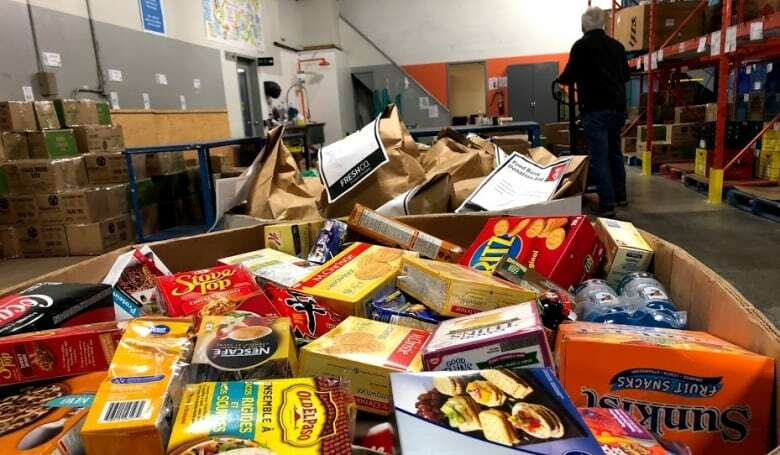 He sorts through donations, including fresh goods delivered by a local bakery, and preps items to be shipped to the various agencies the food bank supports. Someone suggested he could help out at the food bank’s warehouse. Holtzworth worked for a wholesale grocer for 38 years so he said it’s been a good fit. In another part of the warehouse, located on Alpine Court in Kitchener, Joe Tangney and Andrea Bender are scanning items and filling orders. Tangney volunteered for sports organizations his children were part of, and started at the food bank about a year ago. “Before I started here, I had no idea the extent of the food bank,” he admitted. He added he enjoys the people he works with like Bender, who trained him to do food picking. “Everybody’s very friendly and helpful,” he said. Bender has been volunteering for about a year as well. She helps organize the dry orders for agencies, so items like canned goods, dry pasta and peanut butter. “I know there’s a need for good, healthy food in the community and I just wanted to find a way that I can contribute to supporting that,” she said. She said the food bank has changed, even over the course of the past year. A new on-site food processing facility, called the Fresh Approaches Food Centre, is where volunteers and staff repackage fresh food donations to expand the lifespan of the items.